Mary Ann Yates is the best actress whom you’ve never heard of. That’s how Dr. Elaine McGirr characterizes this fascinating woman, who rose to stardom on the eighteenth-century British stage and later went on to become the first female manager of a major London theatre. As Elaine explains in this episode, Yates’s time as the reigning queen of the stage, as well as her subsequent obscurity, reveal a lot about how we write women into —and out of—theatrical history. Mary Ann Yates, as painted by Tilly Kettle c. 1765. Courtesy of the Garrick Club Collections. Learn more about Elaine and her work at her faculty page on the University of Bristol’s website, and follow her on Twitter. Check out an amazing silver tea caddy featuring Mary Ann Yates and her contemporary David Garrick, via the Victoria and Albert Museum. 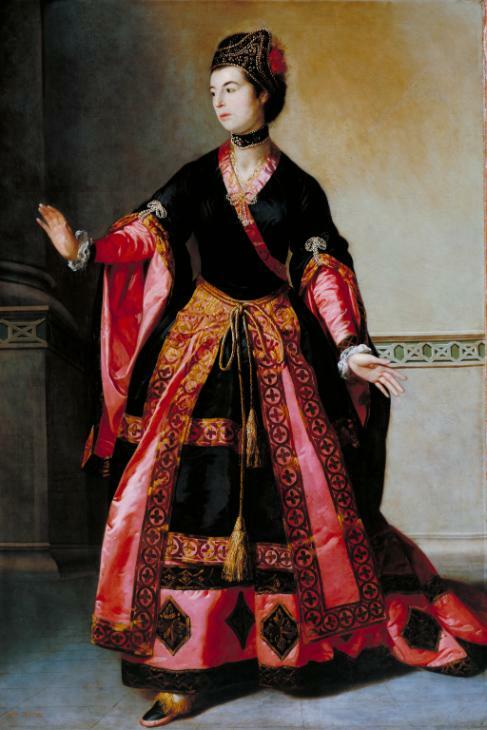 Mary Ann Yates as Mandane in the English adaptation of The Orphan of China, c. 1765. Courtesy of the Tate Galleries. 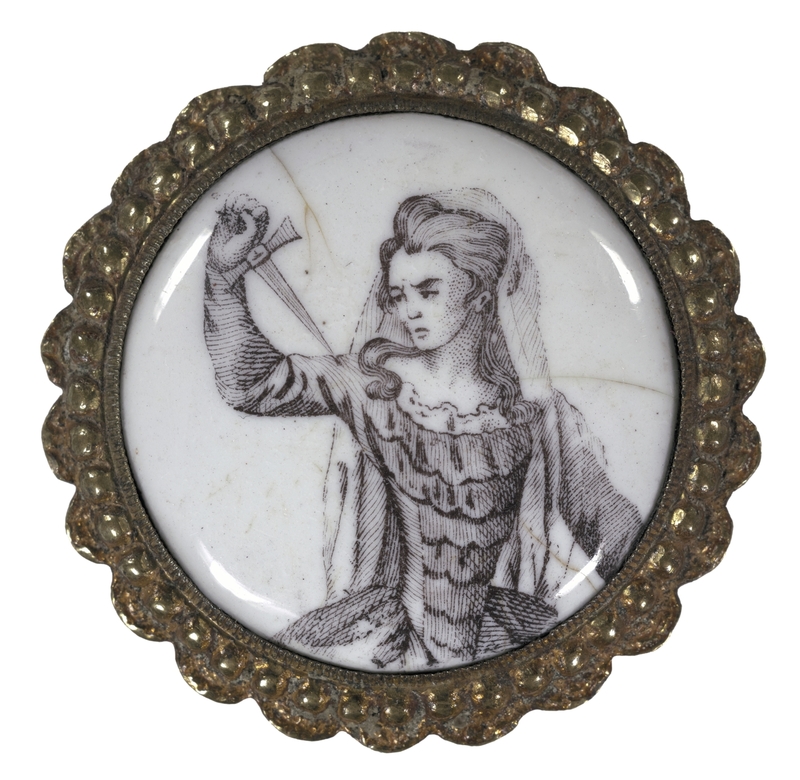 Enamel plaque depicting Mary Ann Yates in the role of Calista, c. 1777. Courtesy of the Folger Shakespeare Library. Michael Lueger: The Theatre History Podcast is supported by HowlRound, a free and open platform for theater makers world-wide. It's available on iTunes, Google Play, and howlround.com. Hi, and welcome to the Theatre History Podcast. I'm Mike Lueger. Theatre history has not been kind to Mary Ann Yates, the best actress you've never heard of. That's how our guest introduces the topic of her current research. Yates was a star of the eighteenth century London stage as well as a successful theatre manager, but she's been virtually forgotten because she's been eclipsed by some of the other superstars of the era. Our guest, Dr. Elaine McGirr, is working to change that. Elaine is a leader in theatre and performance histories at the University of Bristol, and she's the author of Partial Histories: A Reappraisal of Colley Cibber, and she's also the co-editor of Stage Mothers: Women, Work, and the Theater, 1660-1830. Elaine, thank you so much for joining us. Elaine McGirr: Thanks for having me on. Michael: Can you tell us who Mary Ann Yates was and how she got started on the stage? Elaine: Sure. Mary Ann Yates was born Mary Ann Graham in either 1728 or 1737. 1728 is the more likely story, but she preferred to knock nine years off her age whenever anyone asked. Her version of how she got started is that she was taken to the theatre at age 16, where she saw the sublime Susannah Cibber performing Juliet and instantly was transfixed by the theatre and the possibilities of being a tragic heroine. The reality is a lot more prosaic, which is she was a jobbing actress in the fairground circuits in the north and in Dublin, where Sheridan dismissed her for being too fat and a bit dull. She ended up at Drury Lane in 1753, where she was given a trial mostly as a dresser and as a muse, where she'd come out and stage scenes and used her already established sense of fashion to help the other, more established actresses look the part. She had her first speaking role six months later and was fairly well received, but languished in the third or fourth tier of actresses for several years. Michael: Yeah, you write that her career got off to a slow start, in part because of something called the repertory system. Can you explain how that worked and how Yates kind of finally worked her way through that system to become a star? Elaine: Yeah. So in the 1750s, performances in London were limited to the two main patent theatres for legitimate drama. And those theatres, Covent Garden and Drury Lane, both ran repertory systems where they hired a stable of performers at the start of each year, and those performers would act, on average, four or five nights a week. And once you had a part, it was your part for life, so an actress coming in getting a new role would hold onto it until she was fired or retired. This made it really hard for new actresses to get anywhere in the system. The only way to get a part was if an actress gave it up or a new role was given to you. So Mary Ann Yates was behind about 15 other actresses who had more established claims, more talent, or more clout, including a number of dynastic actresses, the wives, daughters, sisters of other established actors. So one of her first strategies was to marry an established actor, Richard Yates. So Mary Ann Graham, in 1755, married Richard Yates, who was a pretty popular comedian, and he used his clout and his authority to get a few more parts for his new wife. Her other strategy was to serve as a general understudy to all the leading actresses of the day, particularly to her hero, Susannah Cibber. And luckily for Mary Ann Yates, Susannah Cibber had a very serious illness that restricted her ability to perform around this time. So Mary Ann Yates fought to take on a number of leading roles that belonged to Cibber. Michael: So what about Mary Ann Yates's acting style? What was it like? What might we think of it if we were transported to the eighteenth century and saw her perform on stage? Elaine: Well, one of the things that makes her really interesting is that the eighteenth century was not just a repertory system, but it was a very conservative world, where acting styles as well as parts were handed down from teacher to students. Mary Ann Yates took on all of Susannah Cibber's roles, but completely changed her interpretation of the parts and the way she acted them. Susannah Cibber was known for being very pliant. She had a very graceful, willowy figure, and she was always adopting Hogarthian serpentine S's on stage, and she spends a lot of time sort of falling down and crying. She was very supplicant in her tragic airs, whereas Mary Ann Yates was described as being majestic, fierce, unbending, and unyielding, so physically very different and vocally very different. She was all firmness, where her predecessor had been soft and supple. I think that William Godwin described her very well as being majestic because she knew no other way to be; that her character was so powerful that she imbued that in all of these parts that she played, which had previously been seen as very weak victims. They became powerful, avenging agents of fighting against the injustices. Michael: What would the life of a working actress, a successful one like Mary Ann Yates, be like in the eighteenth century? Elaine: Well, Yates is very fortunate in that her husband was also employed and making good money, so she didn't have a large family to support. She was also officially childless, although there are some question marks around that status. The Biographical Dictionary of Actors and Actresses accords her a granddaughter but no official children. I'm still not sure how that works. But because she didn't have as many obligations as most of her peers, she could be choosier about how often she worked. A star actress would be expected to perform four or five nights a week during the season, which lasted from September until June or thereabouts. Mary Ann Yates often refused to make her first entrance until mid-October, so she took a long summer holiday. She stopped performing when it got too warm in the theatres in the evening, so she rarely played in May or June. She tries to prolong her performing life by not playing in bad weather or when she was ill.
Michael: One particular skill of hers that you mentioned, which I think has really interesting resonances to a lot of social issues today, is Yates's ability to negotiate a higher salary. How did she do this, and what were the results? Elaine: Unlike most women who were part of performing families, she negotiated all of her own salaries, and she also negotiated her husband's salary rather than letting him do that. In fact, she quite famously wrote to David Garrick that she thought a husband's advice was the worst possible advice to take. She wrote directly to the managers. 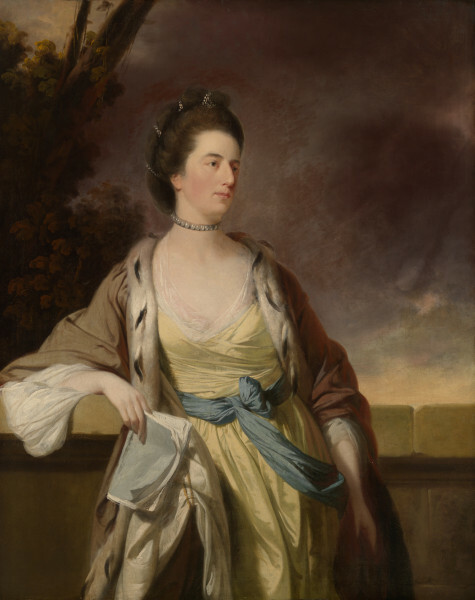 She negotiated primarily with David Garrick and Sheridan, his successor, and with Colman and Covent Garden, and would write letters that said things along the lines of, "Considering my novelty, my popularity, and not to mention my beauty, I think the least amount of money I can take is 600 pounds, 700 pounds, 800 pounds." She upped her ask every single year, and if she didn't get what she wanted at one theatre, she made the same offer to the other. Because there was a duopoly, she was able to play the two theatres off each other and would move from Drury Lane to Covent Garden and back again. She also augmented her salary by making command appearances in places like Dublin and Edinburgh, where she could receive as much for a one-to-six-week tour that she would make for a whole year in the capital. Michael: She wasn't just an actress, as you were sort of just telling us. She's got this skill for negotiating salary, a kind of business mind, and she becomes, in your words, the first female manager of a major London theatre. What did it take to be a theatre manager at this time, and what can you tell us about Yates's tenure as a theatrical manager? Elaine: It was very difficult for a woman to be in that position of responsibility, especially a married woman who couldn't technically own anything in her own right. So in 1783, Mary Ann Yates and her friend, Frances Brooke, took on the management of the King's Opera House in the Haymarket. They did this with the legal fiction of working in concert with Yates's husband, Richard, and Brooke's brother, who was a minister. But all the contemporary accounts, including published reports in the newspaper, make it clear that the two women were the driving forces and were the ones actually doing all of the work. The tenure at the opera, they managed it for five years, and they took it on with the expressed intention of adding a third legitimate performance space for the capital and alternating tragedy with opera and directly competing with Covent Garden and Drury Lane. This was met quite positively in the newspaper reports in 1783, when they announced this intention. And Mrs. Yates's desire to play Shakespeare and neoclassical tragedy, untrammeled by the commercial fashions of Covent Garden and Drury Lane, was something that seemed very, very popular, but the combined effort of Garrick and Colman quashed the plan, and the King refused to grant them the patent. So the two women managed the opera without any spoken drama for five years. In that time, Mary Ann Yates says that she took on the domestic arrangements, the day-to-day management of the theatre. She left the musical direction to the house composer, but she appears to have coached rehearsals to work with the singers and particularly with the dancers on the theatricality, the histrionic part of the opera. She also worked very hard to make the opera fashionable. She made it aesthetically very pleasing. She worked very hard on design and fashion, but also the decorations of the house to make the opera a place to see, but also to be seen. And that made it incredibly profitable. When they eventually sold their shares in the opera five years after taking them on, Yates and Brooke made a 12,000-pound profit. Sheridan took the most successful theatre in London and bankrupted it within nine months. So clearly, Yates and Brooke knew what they were doing. They managed the French dancers, the Italian singers, and the English audiences and kept all three of those different factions quite happy and mutually appreciative of each other. Michael: It's interesting. You've mentioned ... Starting from her early career as a dresser to this time as a manager trying to make opera, in your words, fashionable, it sounds like Yates, among other things, in addition to being an actress, in addition to her business work, seems to have a really keen sense of how to manage her public image. Could you talk a little bit about that, how that was important for a performer at the time, and maybe some more specifics about how Yates herself did that? Elaine: One of the things that sets Yates apart from her contemporaries and that her successors, particularly Sarah Siddons, learned from was Yates's branding. She was the tragic muse of her day and was painted by Reynolds, among others, as the tragic muse or the personification of tragedy as melancholy. She was also painted in role as Medea, as Electra, as Mandane in The Orphan of China. She was a very popular model, artist's model, and she liked to have her portrait not just painted, but exhibited in the Royal Academy. And in all of those, she maintains that look, those perpendicular lines, the fierceness, the straight back, the majestic appearance, so she seems to have been really in control of her look and her brand. She wrote to the papers quite frequently to correct what she saw as misimpressions of her behavior. So when she was at the opera, she frequently got sick. She was overextended. She was also lobbying to get a patent for the Theatre Royal in Birmingham, which was her home town, and all of this effort took a toll. She was full time at the opera. She was on stage at Drury Lane three nights a week. She was working in Birmingham. To travel alone to Birmingham was not insignificant in the 1780s. And when she was accused of missing performances or disappointing her fans because of diva airs, she would write to the papers and correct them and establish herself as hard-working, dedicated to so many of her fans that she was bound to disappoint some. So she was quite conscious of the public face of the work she was doing. She was also continuously fashionable without following or setting a particular fashion. She wasn't known for establishing a hat or a particular kind of dress, but she was always known to look majestic and to look appropriate, and some of that was that perfect line between being too ostentatious and not ostentatious enough. So I think it's about taste, and she had excellent taste, and she exercised it in every part of her professional life. Michael: Why haven't we heard more about Yates? Who's responsible for eclipsing her reign as this queen of the stage? Elaine: There are two obvious culprits. The first is David Garrick, and the second is Sarah Siddons, and then the general problem of misogyny. There's room for maybe 1.5 women in theatre history, and Sarah Siddons, whose career took off not coincidentally the year Yates's ended, is part of that reason. We all fell prey to Siddons mania, and Siddons herself was quite keen to erase anything that preceded her and took away from the novelty of her own performances. She is deeply indebted to Yates and to Yatesian interpretations of roles such as Lady Macbeth, which Sarah Siddons tried to make her own. The other issue, which is even I think slightly more insidious, is David Garrick, who often defines the actresses who he worked alongside with as problems to be managed, when in reality they were rivals who could outshine and outplay him as well as out-negotiate. Particularly, when Yates was at the Opera House and playing ... drawing in crowds that thinned his houses and diminished his profits, he started briefing against the actress and calling her a diva who is difficult to work with, who refused to play for her fellow comedians, when in actuality she just had obligations to the opera and couldn't be at the theatre every single night. They also started planting stories to question her claims of ill health, saying that she wasn't actually sick when she couldn't perform, but was just too proud or too lazy to perform. The other problem is that the plays that Yates made her own, the plays that made her famous, are deeply, deeply unfashionable and are almost never read. So the neoclassical tragedies that she excelled in, the eighteenth century translations of Medea and Electra, the neoclassical interpretations of history in her Earl of Warwick and Margaret of Anjou, have disappeared from the repertoire. And since we don't know the work, we don't know the roles, and, therefore, we don't know the woman who made them so successful. Michael: We'll post additional links and images in our show notes that will let you explore the career of Mary Ann Yates and the world of eighteenth century London theatre. Elaine, thank you for introducing us to this fascinating actress and businesswoman. Elaine: Thanks for having me. It's been a pleasure. Michael: If you'd like to continue today's conversation, please visit howlround.com and follow HowlRound and @theatrehistory on Twitter and Facebook. You can also visit our website at theatrehistorypodcast.net, where you can find links to all of our episodes. And you can email your questions and comments about the show to theatrehistory@theatrehistorypodcast.net. A big thank you to the staff at HowlRound, who make this show possible. Our theme music is the “Black Crook Gallop”, which comes to us courtesy of the New York Public Library Libretto Project and Adam Roberts. Thanks as well to [inaudible 00:18:42], who designed our logo. And finally, thank you for listening.